By James H, September 29, 2017 in Tools, Books & Misc. I was recently lucky enough to be sent the Thinnerline circular cutter for test. If you don’t know what these tools do, then it’s quite simple…they allow the modeller to cut out discs in masking paper and very thin plasticard etc. 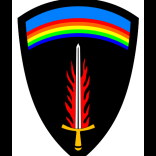 from around 1mm to 50mm in diameter. Having found the Thinnerline an amazing tool, I couldn’t turn down the offer to try out the brand new DSPIAE tool kindly sent to me for review from the Netherlands, by Corien and Evert from Breveco Modelling. DSPIAE’s new Stepless Adjustment Circular Cutter (long name!) comes in a very attractive, robust and heavy box whose quality is pretty reminiscent of the way Apple packages its products. The box lid contains a line drawing illustration of the circle cutter, and the edge of the box has a unique 16-didgit identifier that you can use to verify that this is a genuine DSPIAE product, and not a counterfeit. Certain elements of our hobby have succumbed to piracy, so this is a very nice touch. The only thing I can pick up on is that the box lid states the minimum size is 1mm, whilst the maximum is 7.8! I am pretty sure that this is more like 50mm. The lid is a seriously snug fit, and once you overcome the suction when you remove it, you’ll find a removable tray with foam cut-outs. This contains three different cutting tools in their own plastic box, tool assembly components and a screwdriver. Yes, you will need to assemble this cutter, but it won’t take more than a few minutes. For information, the tray lid tells you the cutting angle for each blade. These are colour-coded for ease of recognition. After lifting out the tray, you will find a foam-backed instruction card, with everything clearly shown in line drawing format. The cutter is assembled in six easy stages. Unlike the Thinnerline tool which is essentially based upon a bearing, with internal parts, the DSPIAE tool is also enveloped in an aluminium case that protects the bearing. This is machined in high quality material and has a red/crimson appearance to it, applied probably through anodization. The sharp corners are then machined at 45 degrees, exposing the metal again. Very attractive indeed. The two-part aluminium housing is now bolted to the exterior of the bearing, and tightened with the supplied tools. Four grub screws are now applied, securing the bearing so it doesn’t slide. Don’t fasten these too tight. They only need to nip. Now the adjuster and gauge are fitted. I did find a washer left over and a small neodymium magnet. They aren’t on the instructions. After fitting the blade into the tool (yellow 45 degrees) and adjusting its position, I dial the size of circle I want into the cutter, and the cutter is sat on a sheet of masking paper. I then use the small handle to turn the inner bearing and a perfect circle is cut. It really is that simple. The gauge works so that the close to the centre of the bearing you adjust the pointer, the smaller the mask. Move it outwards towards the circumference, and your masks are larger. The cutting tools are amazingly sharp and should be kept in their plastic protectors when not in use. Does exactly what it was designed to do, and flawlessly. An amazingly high quality tool for which you will find endless masking applications in your hobby, from wheel hubs to inner radius curves for canopies etc. You really should treat yourself! 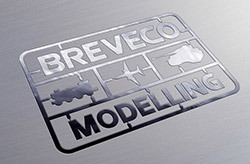 My sincere thanks to Breveco Modelling for the opportunity to try out this new tool. To buy it directly, click HERE. That is a just what I'm looking for, Great bit of engineering. Thx for the review.